22 violation of Health and Safety Code section 11378. 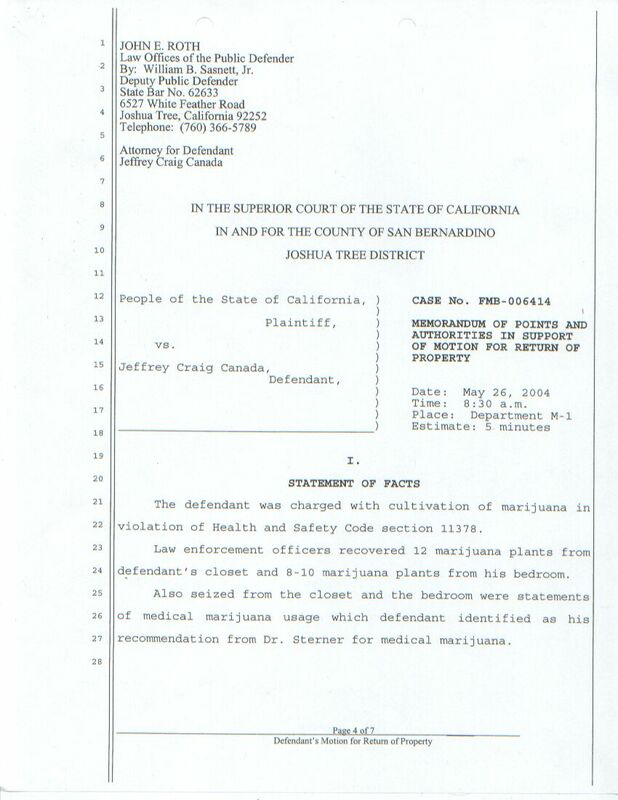 24 defendant's closet and 8-10 marijuana plants from his bedroom. 27 recommendation from Dr. Sterner for medical marijuana.